Can the healthcare insurance, security, health records, and the drug supply chain be all managed by blockchain? 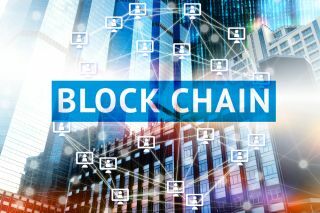 Blockchain synonymous with the financial transactions and cryptocurrencies has stormed other sectors of the industry too. The latest technological entry into the healthcare sector, the blockchain module has stirred up quite a controversy. Is it really the answer to the woes plaguing the healthcare industry? Can the healthcare insurance, security, health records, and the drug supply chain be all managed by blockchain? As we all know, in a blockchain, each and every transaction is recorded and stored. It is a decentralised register of ownership. So, every device that is connected with the blockchain stores a copy of this block in encrypted form. It is a time stamped record of digital events in the chronological order that is shared on a peer-to-peer network. The network participants or the nodes have the copy of the blockchain. They are authorised to validate the digital transactions. Any transaction has to be validated by the majority of the members if it is to be added permanently to the shared ledger. How a blockchain will work for the healthcare sector? In healthcare, blockchain offers easy access, security, integrity, privacy, and scalability. The data will be shared and stored with all the authorised providers in a secure and standardised way. Since the data is encrypted, there would be no fear of data tampering. All the dealings and records right from the patient history, results, treatments, medication, and healthcare insurance will be transparent and easily accessible. Let us look into what aspects the blockchain technology can provide solutions and how it can be implemented. The main challenge of healthcare providers is to manage the voluminous health data on a regular basis. As the volume keeps increasing year by year, the medical organisations have to process and store the health information and see to it that it is protected. The data includes Patient Health Information (PHI), health records, medical insurance claims, payment invoices, and other things. The blockchain technology will prove beneficial to maintaining the health records as it provides security. With strong encryption techniques and decentralisation, data cannot be altered in the blockchain. Moreover, the healthcare units have to adhere to the standards of HIPAA and other regulatory boards. The blockchain module helps medical organisations to verify the PHI integrity and ensure regulatory compliance. The data remains unaltered and safe with a timestamp verification which in turn reduces the medical audit expenses. Another issue regarding the healthcare is the existence of duplicate or erroneous records. But in a blockchain, each party has a record linked back to the original thus removing any chances of duplicates or errors. The records can be updated without duplicating information by the concerned authorities. Drug counterfeits have rapidly made it to the shelves in developing countries. The medical businesses lose up to $250 billion annually due to the counterfeit drug racket. The fake drugs may prove to be dangerous to the health of the patient. Using blockchain technology, the drug movement right from the manufacturer until the distributor and finally to the drug store is all recorded. Thus, the path is traceable thus bringing in transparency in drug supply chain. It makes it easy to detect fraudulent drug transactions along the path. In clinical trials, there is a lot of data involved in the test results, the statistics, the materials required, and the trials and so on. There are many vested interests who want to secure the data and the results. Also, collaboration and management of the clinical trials become tough since each scientist is working on a specific task. With the blockchain technology, the data remains secure. Since the data is timestamped from all the system nodes, the proof-of-existence can be readily available. So, any third-party cannot patent the drug wrongfully taking credit for it. Also, the data cannot be modified since the data in a blockchain is stored in a secure way. The health insurance is generally plagued by a lack of trust between the insurance providers and the consumers. The consumers suffer due to the processing delays. Also, when the patients change the plan, doctors or the insurance providers, the data will not be readily and completely available. The health insurance providers also have the challenging task of managing the patient data. Any improper documentation and storing give rise to process mismanagement. This results in a problem of trust. Also, the sharing of information amongst various stakeholders like the insurance providers, policyholders, doctors, hospitals, tax authorities, and the regulators becomes cumbersome and limited due to the poor sharing processes. The blockchain helps in removing all these problems. Data can be easily accessed and shared in blockchain among the various stakeholders in the network. Since the data is in a distributed ledger, there is no risk of loss of data or improper documentation. This will not only reduce the processing time but also the processing cost will be reduced. Smart contracts will make the process claims faster and easier. This will help in establishing a trust factor between the health insurance providers and the consumers. Though in its nascent stage, blockchain has a great potential provided the medical organisations are actively willing to explore and participate in its immense possibilities. The road ahead is certainly not going to be smooth. It may take certain years for the stakeholders to be fully aware and satisfied with the blockchain technology. But the start has definitely begun.